We would like to congratulate & celebrate the recent marriage of Brittany & David! 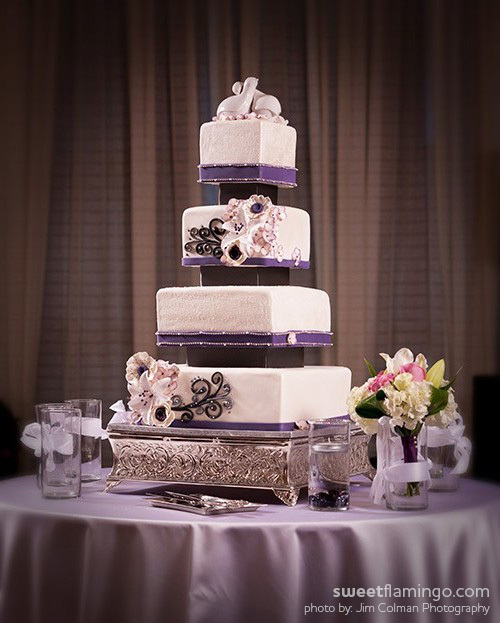 The happy couple celebrated their vows in style at the beautiful Renaissance North Hills. Best Wishes to Brittany & David!!! Loves travels across oceans. George from Thessaloniki, Greece, left home to come to the states for school. Little did he know that he would soon meet the love of his life, Teri! She wanted to surprise George with a groom’s cake to depict all his favorites of home, as well as the story of meeting his bride to be! We did our best to include every important detail from the White Tower in George’s hometown, favorite football (soccer) team, love of sailing – to coming to North Carolina, attending North Carolina State University, meeting Teri at Bogart’s, and of course falling in love! Best wishes Teri & George on their recent marriage! We look forward to the stories to come! 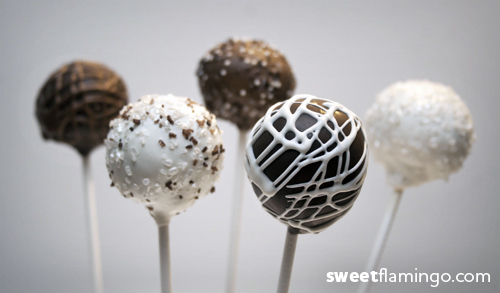 We recently had the joy of helping Teri & George provide these tasty treats for their guest’s wedding favors. 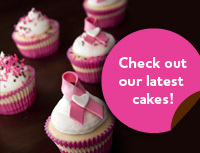 A sweet way to say thank you for joining them on their special day! We recently had the pleasure of helping Jon & Erika celebrate their wedding day! 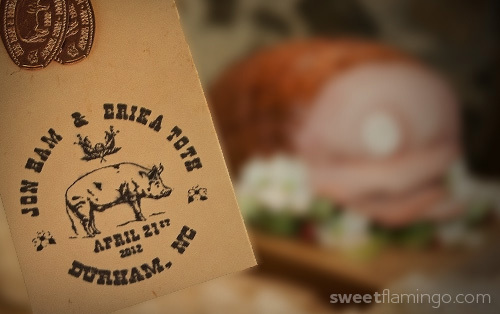 The reception was held at a beautiful home in Durham, North Carolina. The event’s laid-back country theme was wonderfully decorated in charming detail, which reflects this special couple’s personality & love. 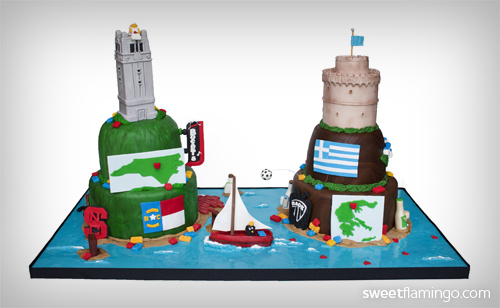 Jon & Erika were surprised with this fun & unique wedding cake, it’s theme, a cute homage! Best wishes to Mr. & Mrs. Ham!!! Happy Birthday to the Hobbyist! Bob was happily surprised by his family with a full day of plans for his 65th birthday! And we were thrilled to be asked to be a part of his very special day. Being an avid collector of rare US coins & World War I model planes his special cake had to represent his favorite past times. 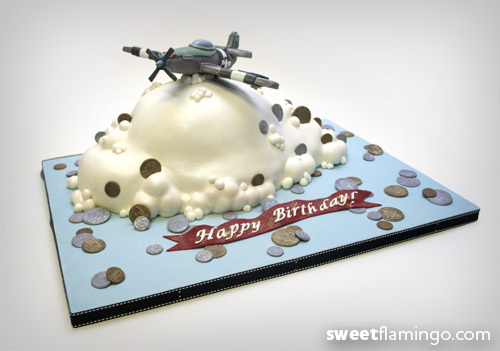 This cake was inspired by Bob’s favorite plane – the P-51 Mustang, we also included the “Pennies from Heaven” – sugar replicas of the many coins in Bob’s collection!